BJP MP Hema Malini, who was elected to the Lok Sabha in 2014 from Mathura, is busy tweeting pictures for her upcoming film at a time of violent clashes. 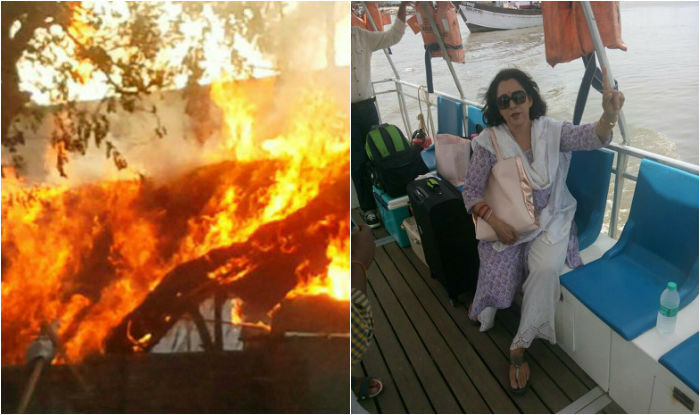 BJP MP Hema Malini, who was elected to the Lok Sabha in 2014 from Mathura, is busy tweeting pictures for her upcoming film at a time when violent clashes were taking place between police and a group of encroachers. 24 people, including two police officers, were killed and almost hundreds arrested. Huge cache of ammunition, grenades, ‘katta’ has been seized from the protestors who were illegally encroaching at that place. And here in the morning, MP Hema Malini, unaware of the situation, was busy tweeting pictures for her upcoming movie from the film location near Mumbai. I just came bk frm Mathura & got the news of the violence tht has taken place there in which policemen have lost their lives. When her tweets were caught on social media, people started to point out that she should pay attention to the clashes instead of promoting her film. Immediately she deleted all her recent tweets and added another one requesting all to stay calm, promising action against this incident.